These are made with 3” x 3” welded mesh with wire diameters ranging from 3mm to 4.55mm. 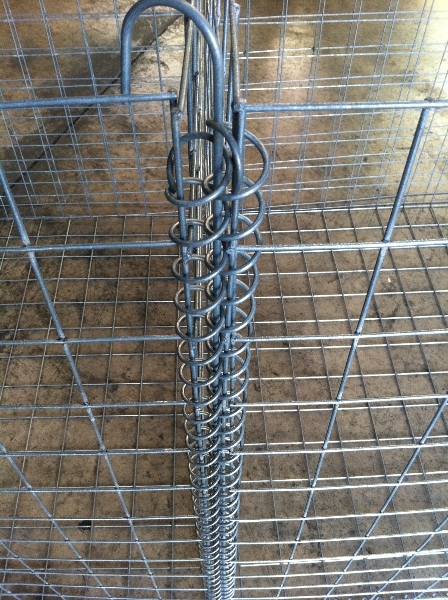 All of our gabions are assembled using helicals. Unlike clipped gabions these provide a seamless connection between adjacent panels. 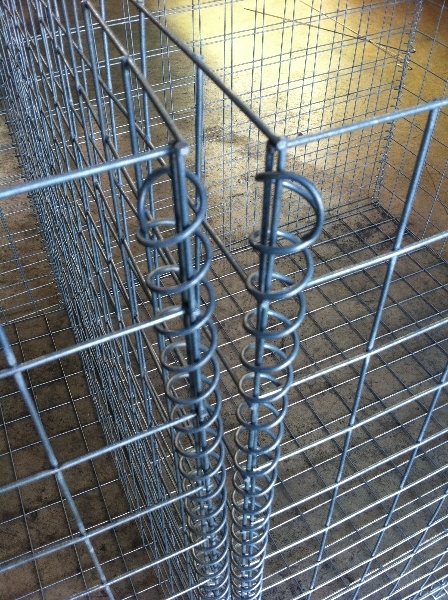 The joining pins (included) allow adjacent gabions to be quickly pinned together by passing the pin through the helicals of neighbouring gabions. This ensures that the visible faces are perfectly aligned and that the gabions do not move away from each other during filling. The lids and bases are attached to the gabion with a single helical and a coil of lacing wire to enable the user to secure the lid and base onsite. 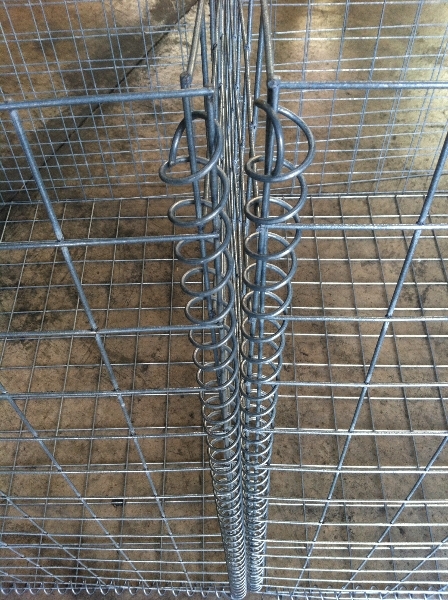 The lacing wire is also used to provide internal bracing within the gabion (to prevent bulging) however we can supply pre-formed bracing ties which are far quicker to use. 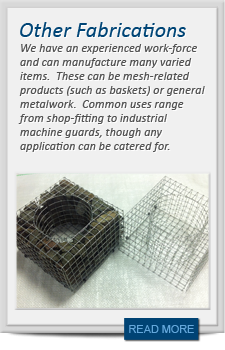 Gabions can be supplied with a mix of wire diameters if required. 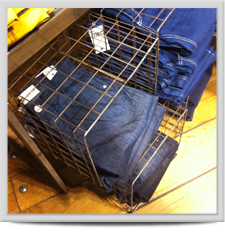 For example, you may wish to have the body of the gabion made from 3mm wire, with just the front face made from 4.55mm wire. This will keep costs to a minimum, whilst ensuring that the visible face is as strong as possible.